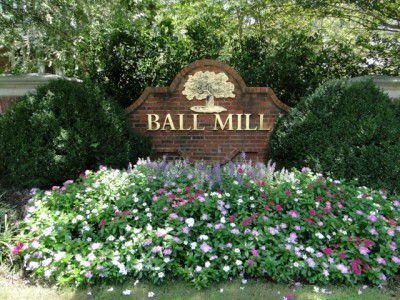 Ball Mill is located in North Dunwoody/Sandy Springs and feature classic traditional homes on generous lots. Built by Bill Grant in 2003, home prices in Ball Mill start at $1 million and up and average around 5,000 square feet. The neighborhood has access to shopping, dining, and fun annual events in Dunwoody and Sandy Springs. Ball Mill is located in the 30350 zip code. See homes for sale in Ball Mill. Here are the top 10 reasons why we love Ball Mill and Dunwoody/Sandy Springs. finished basements with home theaters, media and game rooms, home gyms, gourmet kitchens, and upgrades throughout. 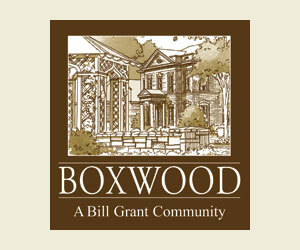 The homeowners association manages various neighborhood expenses, which keep the community looking beautiful. A few minutes east on Dunwoody Club Drive and Ball Mill residents have the option to become members of the Dunwoody Country Club. The country club has extensive recreational facilities and dining options for members and their guests, and it is a very social and family-oriented club. The beautiful golf course has been ranked as one of the top golf facilities in the southeast. The club also has 14 lighted tennis courts, a large outdoor pool, and a workout facility that offers personal trainers and fitness classes. There are tons of youth activities including golf and tennis lessons, and annual events such as mother -daughter tea, family scavenger hunts, dances, movies, and special themed events around every holiday. Other amenities include banquet rooms where members can host all sorts of events. Quality Construction – Ball Mill is a Bill Grant Community. Bill Grant Homes is one of Atlanta’s premier builders and has been building homes and communities in Dunwoody for over 25 years. His craftsmanship and attention to detail is evident in our work. See a gallery of Bill Grant homes in Ball Mill. Location – Ball Mill is located in Dunwoody just off of Dunwoody Club Drive, close to outstanding private schools including: Wesleyan School, Marist School, Mount Vernon Presbyterian School, Davis Academy, and The Epstein School. Residents have easy access to the surrounding suburbs and downtown Atlanta via GA-400 and I-285. Click here to see Ball Mill on the map. Dining – Just east on Dunwoody Club Drive, Ball Mill residents can dine at Jersey Mike’s Subs, Los Rancheros Mexican Restaurant, Carvel Ice Cream and more. Dunwoody Village is also near the neighborhood, where dining options such as Mellow Mushroom, The Dunwoody Tavern, and Village Burger are available. Perimeter Mall also provides many dining options near the Ball Mill neighborhood. Some of the larger restaurants in or near the mall are The Cheesecake Factory, Maggiano’s, and Seasons 52. Also near the mall are Jason’s Deli, Olive Garden, J.Alexander’s, Taki Japanese Steakhouse, the popular Alon’s Bakery, Café Intermezzo, and Eclipse de Luna restaurants. Shopping – A few minutes drive down Dunwoody Club Drive, and Ball Mill residents can shop at Southern Comforts Consignments, Artichoke Designs, E. 48th Street Market, Picayune Toys, Candlebar and More, or Atlantis Natural Foods. The largest shopping center near Ball Mill is Perimeter Mall. Perimeter Mall has over 200 stores including, Dilliard’s, Macy’s, Nordstrom, and Von Maur. Nearby the Perimeter Mall is the Perimeter Village Shopping Center that has stores such as Ulta, Hobby Lobby, Wal-Mart, DSW and Petland. The Dunwoody Nature Center is situated next to Dunwoody Park, and the Center often uses the park for various events. The Nature Center is home to many annual event s such as: a Butterfly Festival, the Monarchs and Margaritas fundraiser, annual plant sales, and more! They provide educational and conservation efforts to the Dunwoody community, and the facilities feature a wetland boardwalk, woodland and streamside trails, gardens, and a tree house classroom pavilion. They also offer several nature clubs, summer camps, and provide learning opportunities for people of all ages. 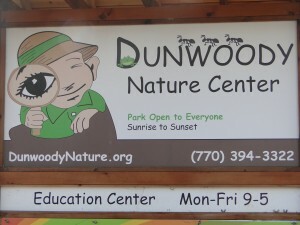 The Dunwoody Nature Center is located at 5343 Roberts Drive Dr Dunwoody, GA 30338. 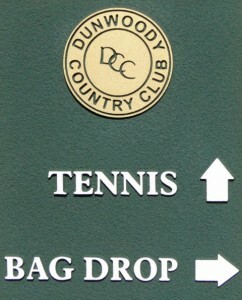 Dunwoody Park – Dunwoody Park is located just south of the Ball Mill neighborhood. The park has two baseball fields and is home to the Dunwoody Senior Baseball leagues. The teams that regularly play at the fields include: the Dunwoody Middle School League, Summer Recreational League, Spring Recreational League, and the Fall Recreational League. Dunwoody Senior Baseball also has a travel league with 5 teams, making these fields very popular and active. The park’s address is 5321 Roberts Dr Dunwoody, GA 30338. 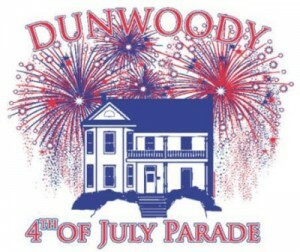 The Dunwoody area and surrounding suburbs offer tons of fun annual events. Residents of all ages are brought together throughout the year for events such as: Dunwoody Nature Center Butterfly Festival, Taste of Dunwoody, 4th of July Parade, Wesleyan Artist Market, Dunwoody Lemonade Days, Dunwoody Art Festival, Light up Dunwoody, Dunwoody Home Tour, Marist Holiday Traditions, and Dunwoody Music Festival and Chili Cook-Off. In nearby Roswell, other annual events include: Roswell Arts Festival, Historic Roswell Colors Festival of Arts, Roswell Memorial Day Parade, and plenty of activities and events throughout the area around Thanksgiving, Christmas, and New Years Eve. Located just a few minutes away from Ball Mill, near the Dunwoody Village shopping center, the North DeKalb Cultural Arts Center provides theatre and performing arts to the area. The Center offers art classes and other programs to people with all skill levels. The Spruill Center for the Arts is part of the Arts Center and it gives community members the chance to take high-quality fine arts classes including literary, performing, and visual arts. Also part of the North DeKalb Cultural Arts Center is the Stage Door Players theater group. This was initially established by the Dunwoody Women’s Club and now provides a professional level of live theater to the Dunwoody and Atlanta area. Another nonprofit organization that meets at the North DeKalb Cultural Arts Center is the Chattahoochee Handweavers Guild. They welcome everyone with a love of “fiber arts” and even participants who have no experience can attend classes to learn different weaving techniques.